Suicide bereavement is a unique type of grieving. In addition to the profound sense of loss, survivors are also left with a deep sense of guilt, regret, and shame. This group is an opportunity for survivors to connect with other survivors and talk openly about suicide, with people who really understand what you are going through. An important part of the healing process is the opportunity to share and express your grief with other survivors. 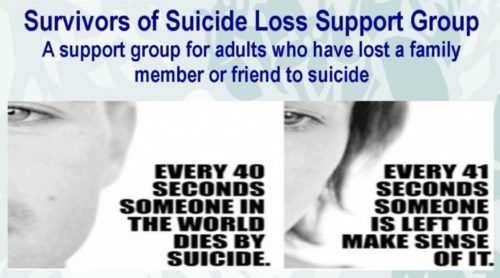 The group is facilitated by persons who have lost loved ones to suicide. Monthly topics include: Understanding Your Grief; Expressing and Accepting Your Feelings; Remembering Your Loved One; Keeping the Memories Alive; and other related discussions. The Suicide Bereavement Support Group of Brant meets on the 3rd Wednesday of each month, with the exception of August.